There are great people that define great parts of history that also when done right, can be given the proper treatment they deserve, this film has greatness abound in it. 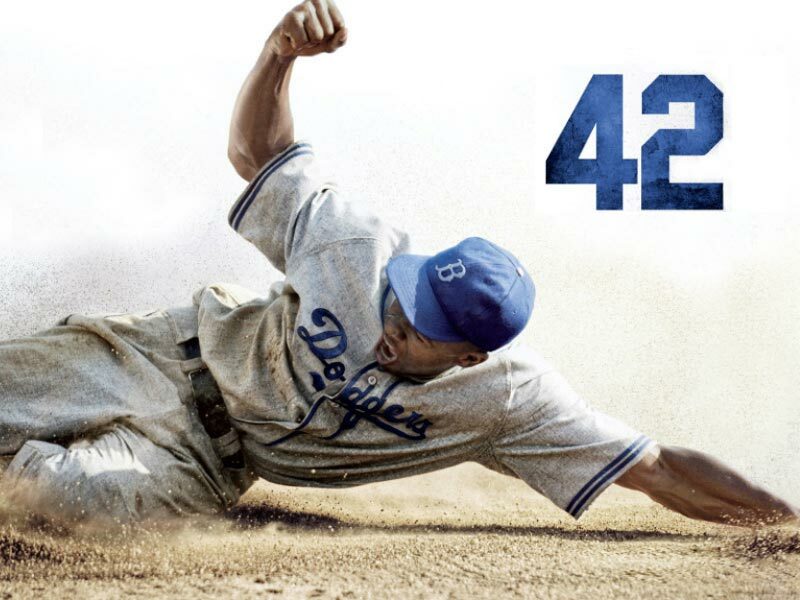 While this gracefully tells us the story of Jackie Robinson(Chadwick Boseman) and his prowess as a man and as the superstar he would become, unlike many of the sports stars that are around today he stood strong and stood proud. 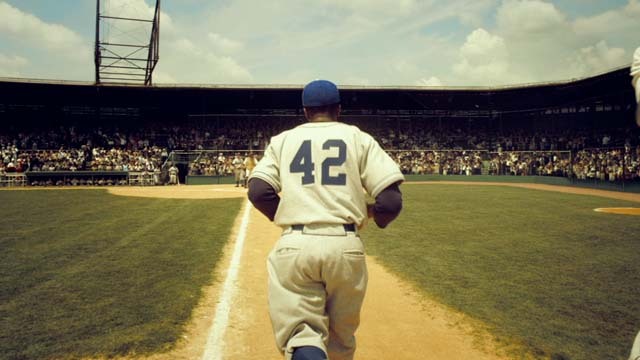 This is the story of Jackie and all that came with his fast fame and his ability to shut out those that were against him joining the white man's game of baseball-they had their own league that he was to stay and play in and not theirs. 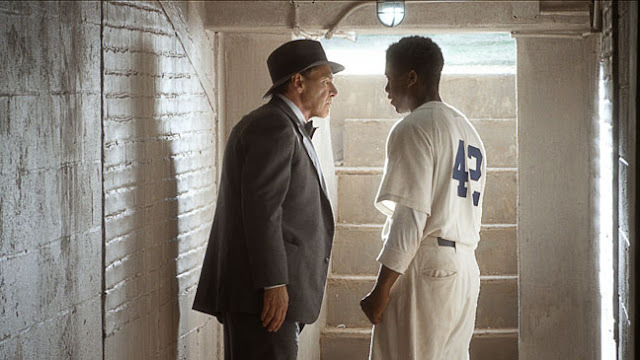 The strength he finds in not really in himself but a mentor of sorts to Jackie that is Branch Rickey(Harrison Ford) Harrison actually becomes Rickey and one of the better performances of his career in this viewers eyes, also being a fan of his since seeing Star Wars(1977). The film inspires as it tends to show more of the positive of Jackie's life and less of the negative, but the scenes that have the racism etc are handled as they should be, truthful. All the actors are fantastic in their roles of helping re-create a time and place of history, whether you are a fan of Baseball or not does not matter-this is about a man and his incredible talent just wanting to play the game of Baseball, also hold his head up as he did. This is one of the best films I have seen this year or any other year for that matter-this is what I love about movies is the ability to show us a time and place of someone we have heard of but could never meet as he has long passed, but what a memory and what a film.